The second installment of ADLaM's three part series. 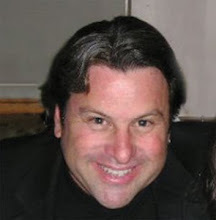 To read the series in order, click here for part one. The first installment was a development of a brief history of Alphabetic writing,why it is important to this story, and how modern calligraphy played a part in leading up to the initial meeting with Ibrahim Barry, one of the creators of ADLaM. Reed College in Portland Oregon was the site of the 2012 International Lettering Arts Conference “Calligraphy Northwest”. During this week-long conference, amidst the swirl of students, teachers, friends and colleagues, there was a quiet individual most of us had not seen before. At a certain point in the midweek, there was an organized evening function for the purpose of the instructors of the various workshops to demonstrate their own brand of calligraphic related art. In my case, I chose to do a dual demonstration with a calligrapher from Canada who is a master of the Greek forms from which I derived my own alphabetic explorations . While Georgia Angelopoulos and I were at our table demonstrating, this quiet man came over to see what we were doing and ask about a book I had laying on the table called “Afrikan Alphabets”(15). His only comment got our attention: “You know, these are not the only alphabets in Africa today”. After I asked him the same question three different times in three different ways, he pulled out his original copy books from the first writings that were the development of an original, alphabetic script. 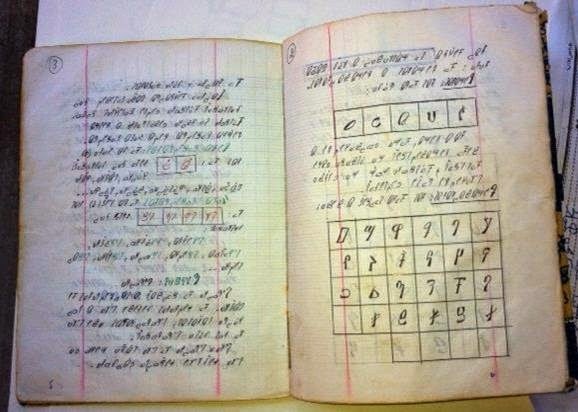 A script developed in 1997 by Ibrahim and his brother Abdoulaye. When they were teenagers. A script now being taught and disseminated, beginning in the West African country of Guinea and spreading among their Fulani tribe all over the continent. We are not talking about the Phoenicians of 3,000 years ago here; we are talking about a new, vital, developing system of communication; an alphabet, from scratch, by hand, now - today- in our own present, modern, technological age. The Fulani (or Fula) tribe is the world’s largest extant nomadic people. Their territory ranges from the west coast of Africa to the banks of the Nile and the Red Sea. While a great number of Fula dwell in cities, the nomadic nature of this culture means that while the language creates cultural continuity, the discontinuity of the writing systems makes this people an almost illiterate society. A Muslim people since approximately the year 1000, all Fulani learn to read the Koran at the age of 7, but most only know how to recite it. Currently, it is estimated that 75% of the Fulani have actually lost their native language. 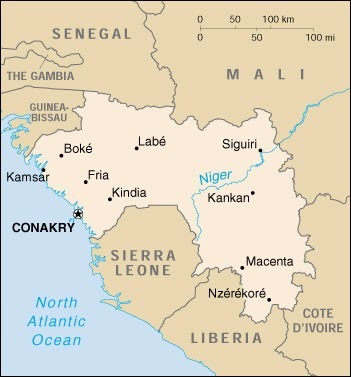 A country of western Africa on the Atlantic Ocean, Guinea is inhabited by the Fula and two other major people groups. Guinea came under French control in the 19th century, becoming a French colony in 1893 and a part of French West Africa in 1895. Guinea gained its independence in 1958. The official government language is French (which children learn in school) with religious texts, records and other documents historically written in Arabic. Fulani who lived outside of their villages or towns were only able to hear from their relatives or parents through letters carried by travelers. These letters were written in their native language (called “Pular”) using the Arabic script that the tribe has used since embracing Islam. However, the Arabic alphabet does not contain all the Pular sounds and some of the sounds for the Arabic letters did not exist in Pular, therefore there was a lack of standardization in writing that led to a wide diversity of character use. Consequently, neither the French nor Arabic languages nor their writing systems (despite the adaptability of phonemes referred to in Part One) have successfully been able to match and graphically record the sounds of Pular so that the speakers of those languages could write and read them effectively. Remember how that first alphabet had branches that went both east (towards Arabic) and west (towards Greek)? Here we have a confluence of two differing alphabetic cultures fighting for supremacy, actually contributing to confusion and ultimately resulting in an extremely high rate of illiteracy in this nomadic, tribal people. The town of N’Zerekore was home to young Ibrahim, his brother Abdoulaye and their family. In Guinea, education was a privilege not a right; many people did not get a chance to go to school. There was usually someone in the town that would have to decipher and read the letters that arrived from various places around the Sahel. Translation was a difficult task (remember, because there is no codification in the writing system, there is no consistency in how the letters were written). 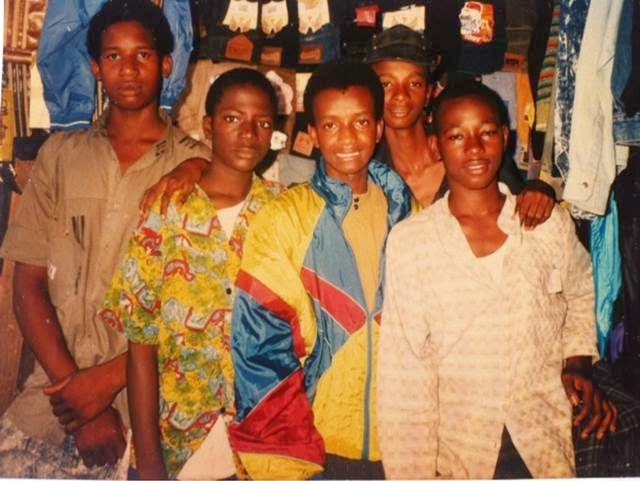 As Ibrahim and Abdoulaye were growing up their father filled the role of town translator and reader. Eventually both Ibrahim and Abdoulaye became so good at deciphering these letters that their father turned the task over to them. Abdoulaye in particular began to ask “Why don’t we have an alphabet that is for our own language? He then became determined to develop one. Sometimes great things come from humble beginnings. In this case, two boys put their heads together - in their own house, in their own room - and began naively to believe they could develop a writing system for their people. 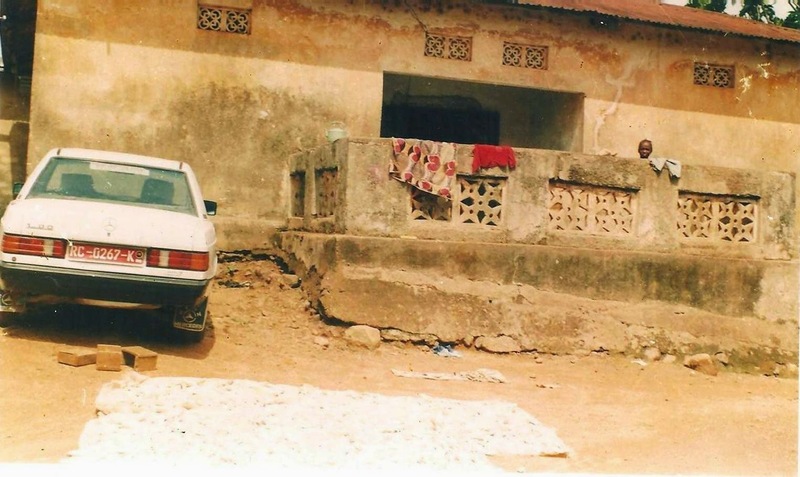 In 1987, Ibrahim and Abdoulaye shut themselves up in their room and began to make marks. Sometimes they would close their eyes and recite “un deux trois” as they moved their pencils, then open their eyes to see what they had made. As these marks developed, they picked out marks that looked like the sounds of their language. These signs were refined to individual glyphs, which then in turn formed the letters of the alphabet. The writing system developed and they decided to try to teach this new system to their sister; once that worked they knew they could teach people to read and they moved on to teach their mother. As the alphabet matured they settled on 28 individual letters(17) and then began to teach the town women and children at home. The image from 1994 at left is the first table of the “ADLaM” alphabet as it is today(18). Early copy books written by hand were used to teach the growing number of students. From the first rudimentary pages in 1989, Abdoulaye continued to refine the format of the books during the period from 1990 to about 1998. Many of the books in this first generation contained traditional stories learned from their mother and from both French and Arabic schools. 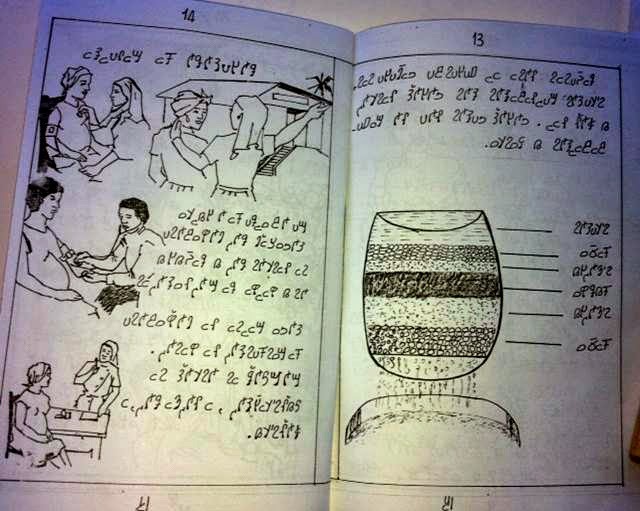 Still written by hand and then printed, these new textbooks added illustrations to the text to teach the Fula readers a variety of fundamental lessons in subjects like water filtration and prenatal care. Again, from Ibrahim: “These kinds of books made ADLaM very popular with many people knowing how to read and write and buying them and teaching them to their friends and parents”(21). ADLaM continued to gain popularity and the young Ibrahim and Abdoulaye continued to travel and teach. “When my brother started this, I was not helping him much. He was writing a lot of books, mostly by hand, himself. But after that, when I was at the university, I started working with people, teaching them how to read and write in Fulani, and as this written aspect of familiar sounds dawned on them, they often started crying. I also taught them the basics of Math, how to run a small business, how to use a calculator. And they were so happy I decided I would continue to do this because I was making a change in their lives. I could have studied further, advanced my career like my friends, made money, but I stopped everything of my own and dedicated myself to writing, writing, writing. It occurred to me before long that the best way for people to study and learn the language was by using a grammar, something we didn’t have. So, I began to pay close attention to the structure and construction of Fulani and to write a grammar book, our first ever”(22). In 2003 Abdoulaye came to the U.S. for the purpose of pursuing a Master’s degree and earning money to continue to support the cause. The movement’s strength continued to grow under Ibrahim and led to the formation of learning centers and schools in Guinea, Togo, Senegal, Ghana and Benin in Africa and to the Fulani community in New York in the U.S. Eventually, Ibrahim was able to typeset ADLaM. In addition to the ability to print textbooks, he started a Pular language newspaper called “Karanbol” (“The Pen”), garnering support from a local Guinean businessman who underwrote the cost of production. Continue reading - The conclusion: "Opposition to ADLaM"
 Mafundikwa, Saki. 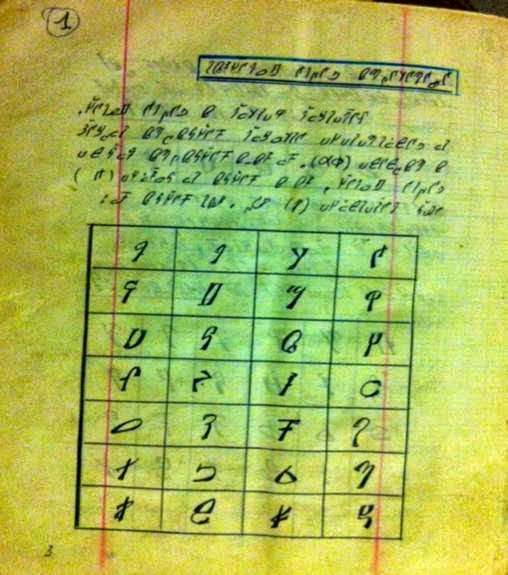 Afrikan Alphabets - The Story of Writing in Afrika. New York: Mark Batty, 2007. Print. GEORGE BERNARD SHAW, Back to Methuselah, act I, Selected Plays with Prefaces, vol. 2, p. 7 (1949). A D L and M are the first four letters of the alphabet from which ADLaM takes its name. This is a totally amazing story about two young boys who saw a need and actually created a modern alphabet for their people. You hear about Wycliffe Bible Translators going into countries without written languages and using known alphabets (creating additional letters as needed) to transliterate a language, then teaching the people to read their own language. The ultimate goal is to give them a Bible in their own language. Somehow, I had never heard of ADLaM before. Great story, Randall!! The amazing thing here, actually, is the lack of a religious motivation. Thanks for sharing the post. A very interesting story has been narrated in the post. I enjoyed reading it.